In fact, Kapoor will soon be filing a lawsuit against the team of upcoming filmSrideviBungalowfor using Sridevi’s name and example. TheMr Indiastarlet passed away last year, leaving thousands of devastated fans behind. Sridevi Bungalowwill see internet sensation Priya Prakash Varrier make her big Bollywood debut, about a year about captivating fans with her iconic wink. It has been directed by Prasanth Mambully. But the film is already in a swirling vortex of a controversy as many – especially Kapoor – deem it to be a mockery of Sridevi’s life, reportedIndia Today. InSridevi Bungalow,Varrier plays a lonely Bollywood superstar. 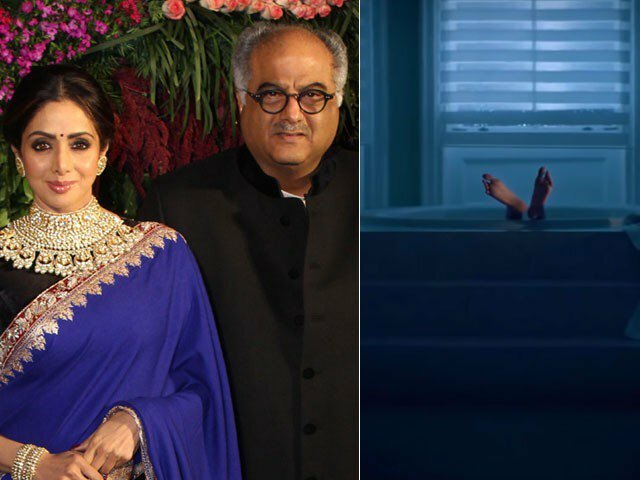 The film’s teaser shows the protagonist drowning in a bathtub, which is exactly how Sridevi died last year. The legendary actor passed away after accidentally drowning in a bathtub, which lead to ample debate and speculation at the time. Varrier, on the other hand, has refused to accept or deny whether her film is based on the real-life Bollywood veteran or not. When the news portal contacted her father Prakash with regards to the matter, he refused to comment on it, saying it was for the director and producers ofSridevi Bungalowto do so. In other news, Varrier is rumored to be part of Karan Johar’sTakht, and was seen clicking photos with Ranveer Singh and Vicky Kaushal recently as well – both of whom are also part of the time. Earlier, there were also reports that the South Indian superstar would play a key role in Rohit Shetty’sSimmbaas well but as it turned out, the news was false.